Play Audio! | 43:55 min. By Speaker. Show newest sermon by: Rev. John Wagner. A sobering message on the doctrine of everlasting punishment. 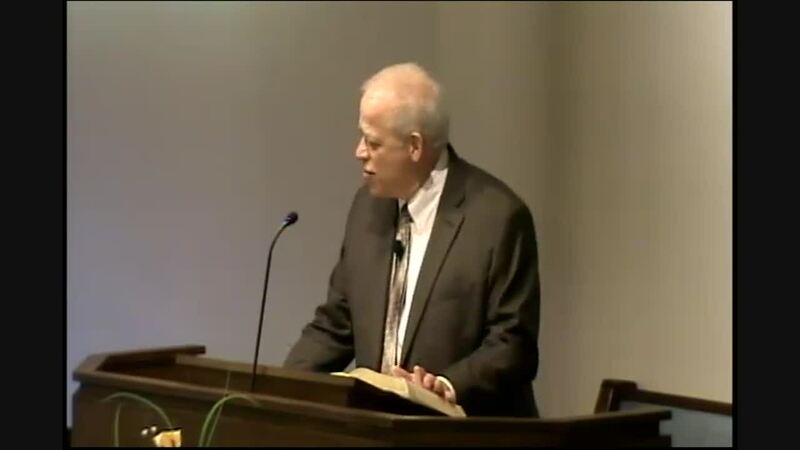 Excellent sermon pleading for sinners to be saved. This by far was the most compelling sermon I’ve heard on God’s Hell, the title within itself reveals the sovereignty and complete ownership of God the Creator Of all that’s been created. The content of the sermon was an eye opening revelation of a tangible existence of the place, called; Hell. It made me cry out in deep contrition to our Just Judge for my sins and for the lost. Great sermon on the realities of hell and the realities of your place in it if you continue to resist Christ and His free gift of salvation. Now is the time....Choose Christ or you have chosen HELL by default. Great job Pastor. What an AWESOME message The Lord has spoken through this pastor. This world and all in it are on a fast train DIRECTLY into the hell if they do not turn from the ways of the world and the devil, and REPENT UNTO THE LORD THY GOD! PRAISE GOD ON HIGH, BESIDE THEE THERE IS NO NOT ONE! PRAISE BE TO GOD! I have been a Christian for some 17 years now, and it was the truth about hell and all it's horrors and the unthinkable fact that it is forever, without end, that drove me to my knees before the Lord to seek His forgiveness. 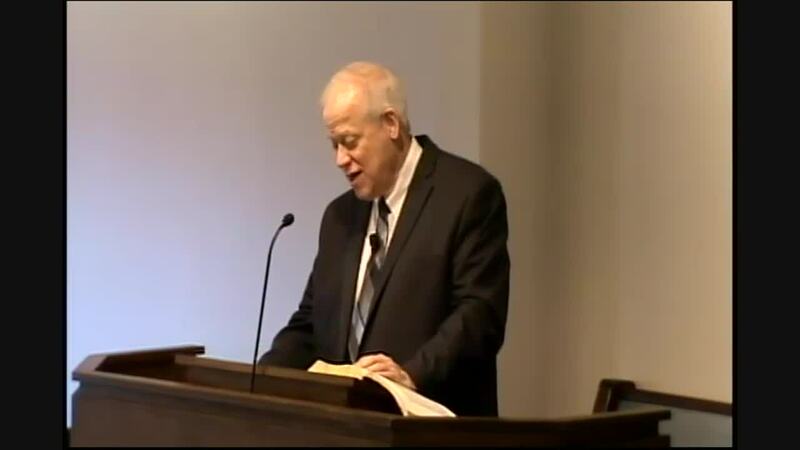 This sermon by Pastor Wagner is one of not only great truth, but it goes further in that he expresses his pain and grief for the lost and it is very moving. I at one point thought I might be lisening to Spurgeon. This man has a heart for the lost and perishing and exhibits this without shame. I believe this sermon also will motivate those believers with lukewarmness to the spreading of the gospel to brush the sleep away from those slumbering eyes and go forth boldly to proclaim liberty and freedom from sin in the name of Jesus Christ our Lord and with an urgency, knowing that the time indeed is short. This sermon will move both unbelievers as well as believers to act. 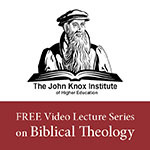 I thank you for this man's message and I intend to listen to more of his sermons on your site. Praise the Lord for His goodness and mercy and longsuffering with us all. Keep Preaching the TRUTH, Brother. 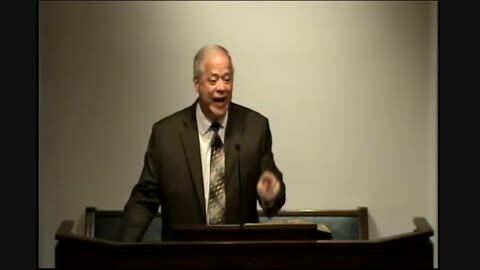 Thank you for an excellant sermon on the ultimate horror reality - Hell and the Lake of Fire! Now THAT is what I call preaching!!! I listen to this sermon over and over again on a regular basis. It helps in more ways than one. Times when I'm tempted, need to be reminded of my mission, to simple encouragement--this message is all-encompassing. Great for all walks of life; truth that rings clealy, bringing real life. The truth about hell as spoken through this Man of God wakes up the sluggish spirit, and opens the eyes of blind and the seasoned Saint alike. Truly a blessing to say the least. Praise God for such a timely message as spoken through Rev. Wagner. Bro. Wagner takes you there! To the Judgement, to see the damned cast into Hell. I use this sermon to reach my lost co-workers. Burn a copy and give it you your hard-cases today! Thank you Rev. Wagner! It is so refreshing for those of us who love the law to get away from the "fluffy" preaching! I am a child who loves having boundries, God says discipline = love! So moved & impressed was I with this sermon, that I play it every night on those sinful phone chat lines as I do housework & bible study. I am certain that your powerful delivery will bring many to Christ. And I for one will continue to use your sermons to reach as many souls as possible. God Bless you! Thank you for not changing to please man!!! Thank you Bro. Wagner for this message. I know some people who will not go to a church where they preach on hell. They just want to hear loving messages. Paise God they're are those such as you who tell the WHOLE truth. As you said in the sermon. Jesus spoke of it often. What these people don't understand that it really is a love message of sorts. You love us enough to warn us of this real place of horror. I am so glad Jesus took it upon himself to take my place on the cross. That I won't have to go there. For He is my true Savior. Praise His so very precious name. TRULY. Excellent message full of conviction and passion. Great handling of Scripture about something that can be difficult to explain to the average person. Hell is real and Jesus pulls no punches! Thank You Rev. Wagner! Praise the Lord for such a powerful message. Preaching Hell's Fire shows the unsaved what will happen to them if they do not repent. How can we get them to hear this message? How can we get them to listen, act, and make a faith response for Christ? His will be done. Just recently I asked my pastor why do you not preach on the subject of hell? He said that in his opinion it is in bad taste and would offend seekers. In the last five years our church has embraced the church growth philosophy. I have never heard a sermon on eternal punishment under his ministry going on 8 years now. After listening to this message I see the wickedness of any man who stands in the pulpit and does not warn sinners of the wrath to come. Rev.Wagner affirms God's love yet powerfully shows that the Lord cannot tolerate Sin. His comments on the cross and the sufferings of the Lord Jesus Christ caused me to cry out for forginess at my hardness of heart. There is a famine in the land for hearing the word of God in our pulpits. May the Lord continue to richly bless your ministry. Praise God for this sermon. Everyone on earth needs to hear this one! Greetings to all God fearing friends. Really pricked my heart about the urgency for the salvation of my loved ones. Let's all pray for the people who take the reality of hell lightly and continue to sin without any regard for God. A very moving sermon and thank God for leading me to hearing this message. God bless. This is a message that the ungodly of this hell bound nation needs to heed.I believe there is a hell because Jesus taught more on this place than He did Heaven.Sin has to be punished and one that has not Christ will be punished for rejecting Gods only way to Heaven. A Holy and just God cannot look upon sin and without the blood of Christ applied to the lentel of the soul eternal punishment is as sure to that person as is eternal life is to those that accept the bridge to heaven and that bridge is Christ.My soul is sad for those who not know Gods Christ.A much needed sermom Rev.John Wagner thank you for preaching the long ago abandoned doctrine of hell.A real literal place.I went to www.tbn.org and clicked on watch and then the link to the video archive I clicked on and watched the 88 minute video to hell and back of atheist testimony of their death and a chance to come back and tell their stories of this real literal place called hell.They now believe but it is sad that all like them dont get a second chance.I suggest the skeptics to watch to hell and back at the video archive at www.tbn.org God bless all in Jesus name.Brother steven.Amen. Thank you John Wagner for another excellent sermon. Eternity is a loooong time. May the Lord bless you with more of the same uplifting preaching. May GOD bless Rev. John Wagner for speaking truth which too many preachers shy away from preaching. This is one of those messages which every church member, sinner amd saint should hear. Truly sobering and a wake-up call for the sleepyheaded christian. A daily dose of this should keep the fire going. Much revelation and reference and the most graphic description I've probably ever heard. This was truly a blessing and scary reality. Great sermon!!! I have listened to it several times and I have been edified and terrified each time. This is an overlooked subject in this lukewarm, feel-good age of lying preachers. May God continue to bless you. I have never been as influenced by a sermon as by this one. This is the true nature of God. His wrath in Hell because of his love. The rejection of Jesus leaves no other choice but Hell. This generation of Christians and young preachers like myself, seems not to understand the equality of God's holiness and love, with his wrath. However, these are the reasons for God's Hell. IT WAS JUST SUCH A MESSAGE THROUGH WHICH I WAS SAVESD THROUGH MANY YEARS AGO AT SHANKILL BAPTIST CHURCH , BELFAST, NORHTERN IRELAND. GOD BLESS YOU BROTHER, MAY GOD BLESS YOU AND HELP YOU TO USE WELL "THE GIFT THAT IS WITHIN THEE" ROBERT M.